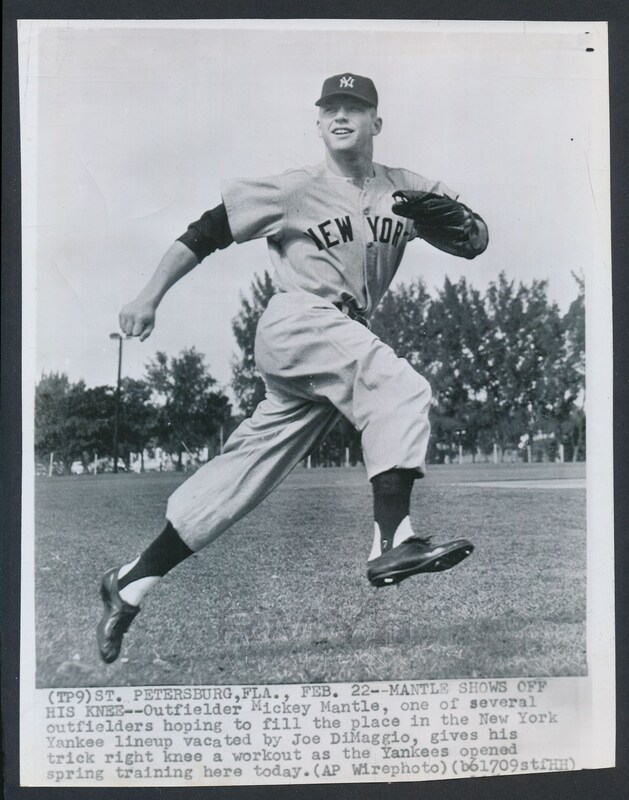 Lot # 68: 1952 Mickey Mantle, "Yankees Rookie Looks to Break Sophomore Slump"
1952 Action photograph from spring training in St. Petersburg showing a young Mickey Mantle skipping with joy at the prospect of a big season for the Yankees. He came into the league the year before with big fanfare, but slumped at the beginning. Here we see Mantle on a surgically repaired knee hoping for a big second season. 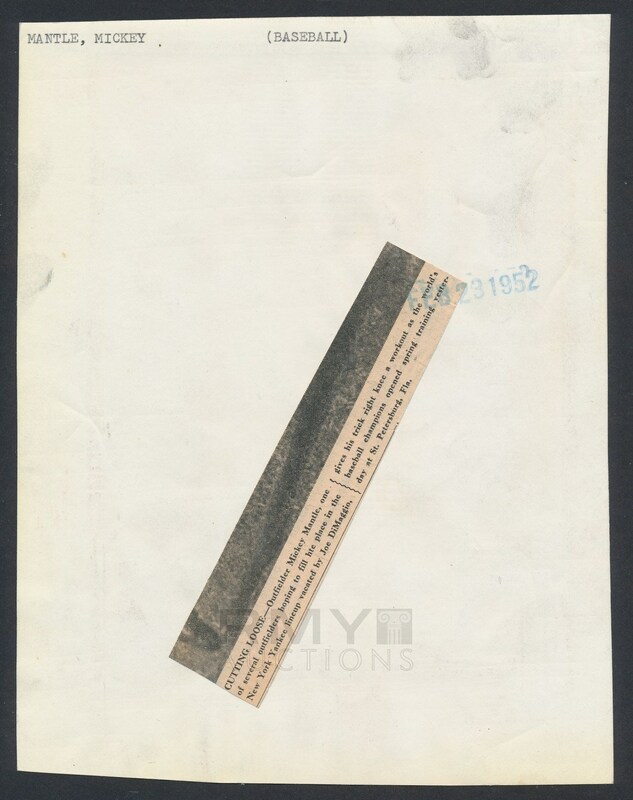 Issued by the Associated Press and stamped on the back with the early 1952 date!